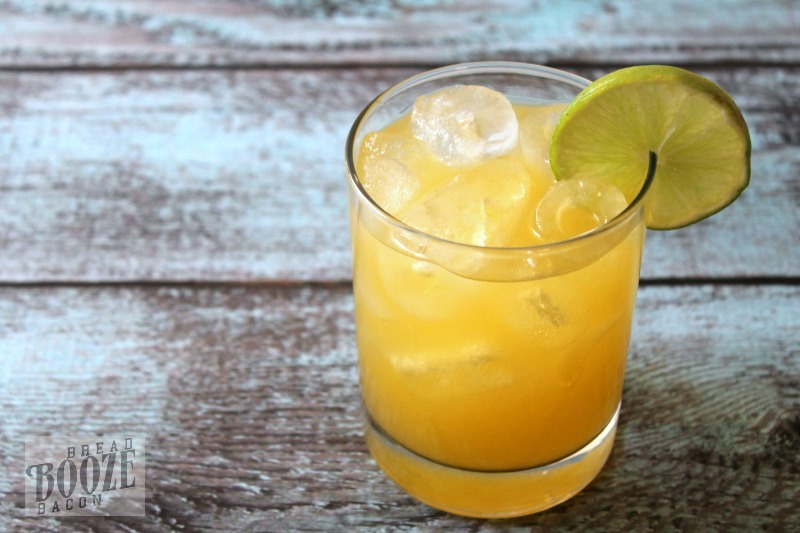 This Mango Libre is a tropical spin on a classic cocktail. 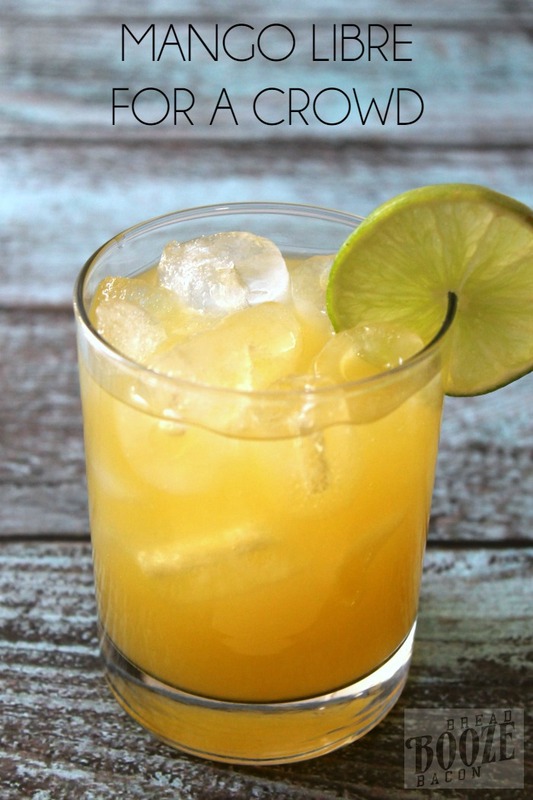 Sweet mango nectar takes the place of cola in this creeper cocktail your guests will LOVE! I love a good cocktail! One of my favorite flavors for boozy drinks lately is mango. It’s bright, fresh, and a little tropical. It pairs well with vodka and rum (bar staples in my house), and you can use it in so many different ways. 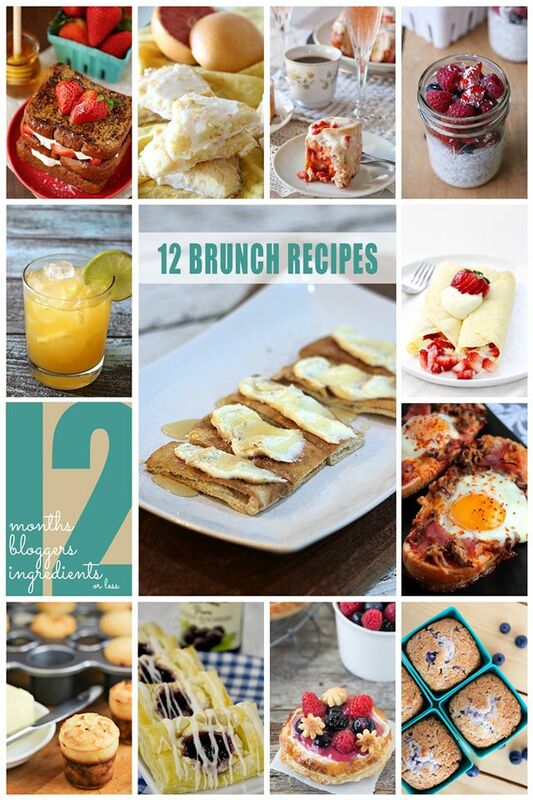 This month fro 12 bloggers it’s all about brunch. And we all know brunch without booze is just a sad late breakfast, so I’m bringing a cocktail to the party. This tropical blend of flavors is a twist on a classic cuba libre. Ditch the cola for some mango nectar and you’re in business! I’ve primed this recipe to be made in a pitcher for easy brunch crowd serving. But don’t fret if you’re not a drinker! There’s an n/a version for you too that my kids LOVED! 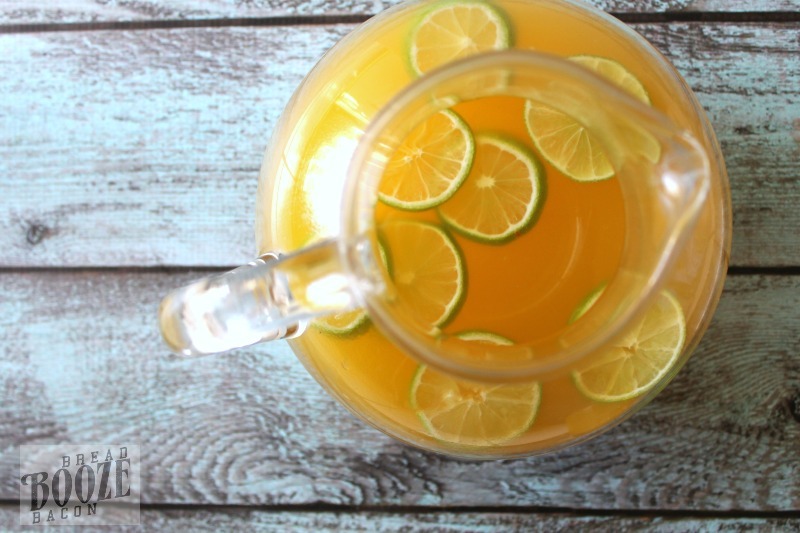 Make your next brunch a party with my Mango Libre! If you’re new to the 12 Bloggers series, here’s the skinny minnie. On the 12th of each month our group shares 12 recipes with 12 ingredients or less for your very much eating enjoyment. This month is all about brunch recipes, and rightfully so with Mother’s Day only a month away. I hope you’ll try out one (of a bunch!) of these awesome recipes and then annihilate into your tummy! I’ve personally got my eye on those Baked Egg Pizza Subs! Next month we’re breaking out the big guns for gourmet grilled cheese. Ooey gooey cheesy happiness kids. You’ll want to park your but right here May 12th. Promise! 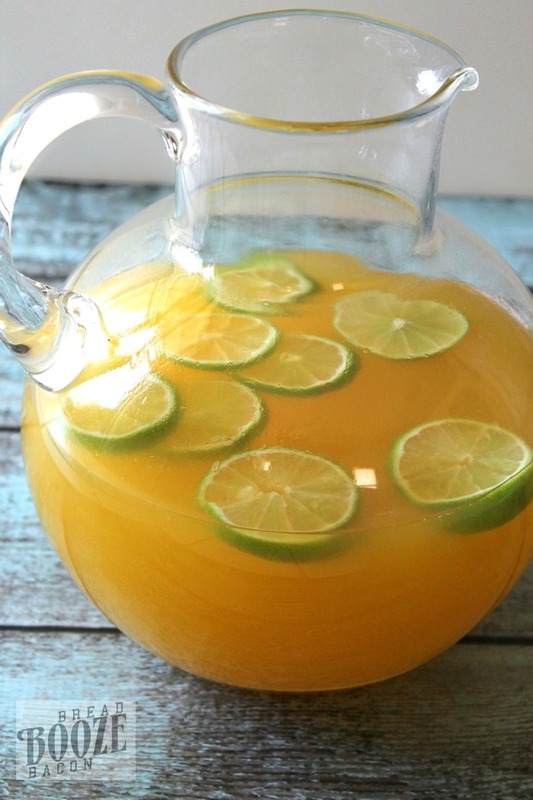 In a large pitcher, stir together the limeade and water until well combined. Pour in mango nectar and stir once more. Remove the ends from your limes, and then cut each lime into wheels (slice the whole lime). Add the lime wheels from 2 limes to the juice mixture, and save the rest to garnish your glasses. Store pitcher in the fridge until ready to serve. 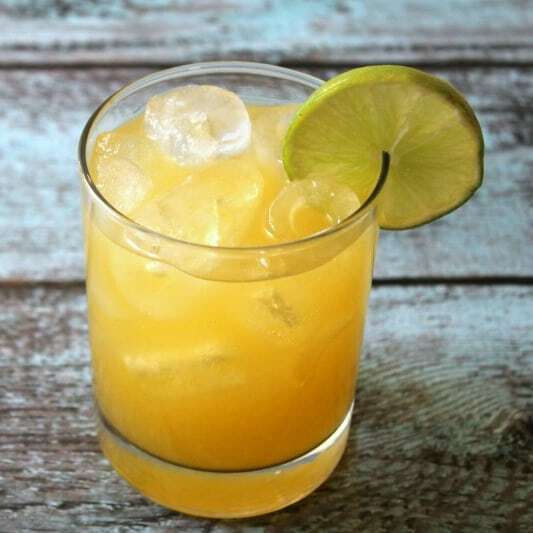 Fill a rocks glass with ice, pour in Mango Libre, and garnish with a lime. I found Goya brand mango nectar in the Mexican food section of my grocery store. You could use a mango juice blend in place of the nectar as well, you'll need about 2 1/2 cups juice.